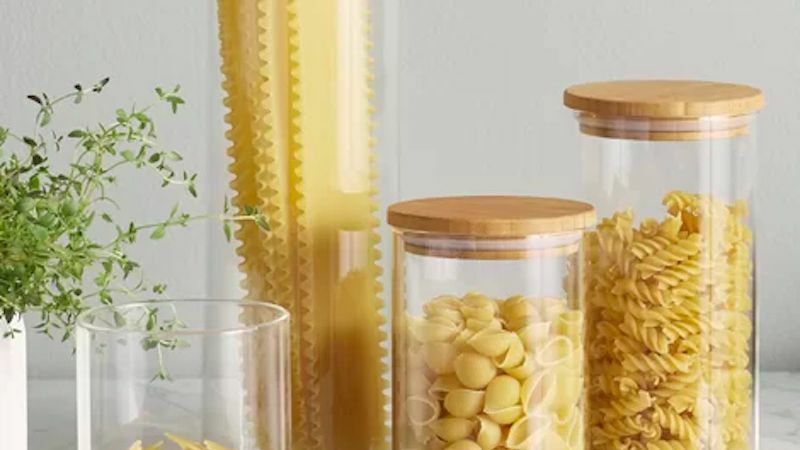 Your leftovers have never looked more stylish—and it's all because of these modern food storage containers. If you're still storing leftovers in plastic food containers inherited from your great aunt or mother-in-law, it's time for a refresh. 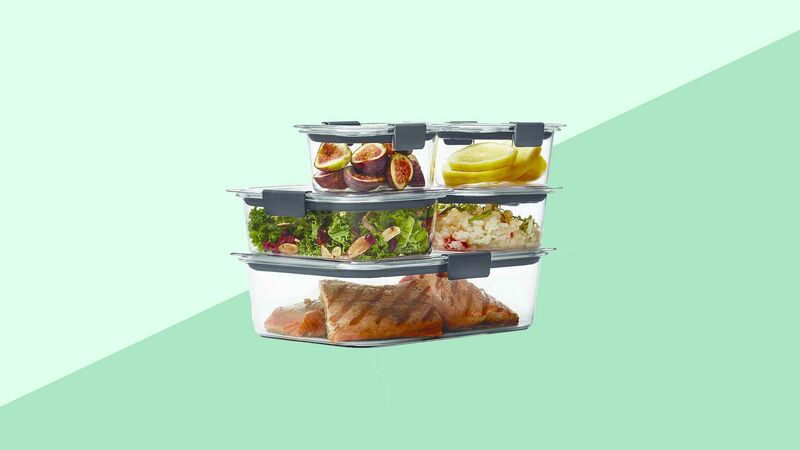 Not only will investing in modern food storage containers help make your kitchen countertop and refrigerator look more organized, but they'll also help keep food fresh for longer. Before you shop, just consider how and where you store food in your home. If you tend to only eat the leftovers you can see, opt for clear glass containers. Want to decant your baking essentials into storage crocks? Order a set of pretty ceramic canisters. 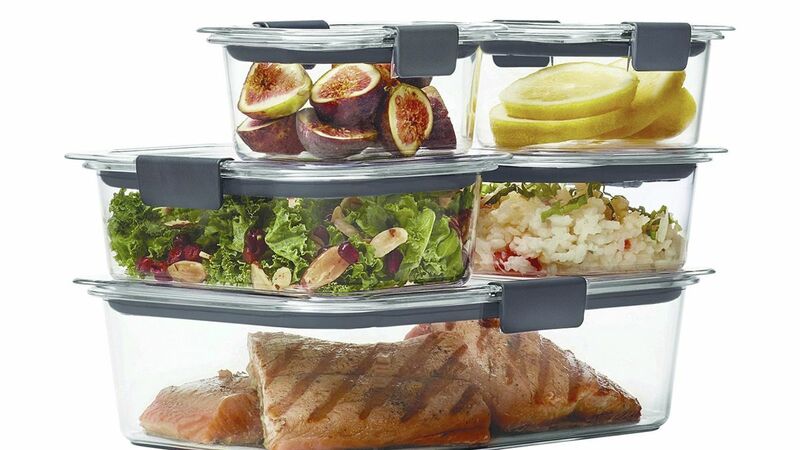 First decide how and where your family stores food, then shop our favorite food storage containers below. 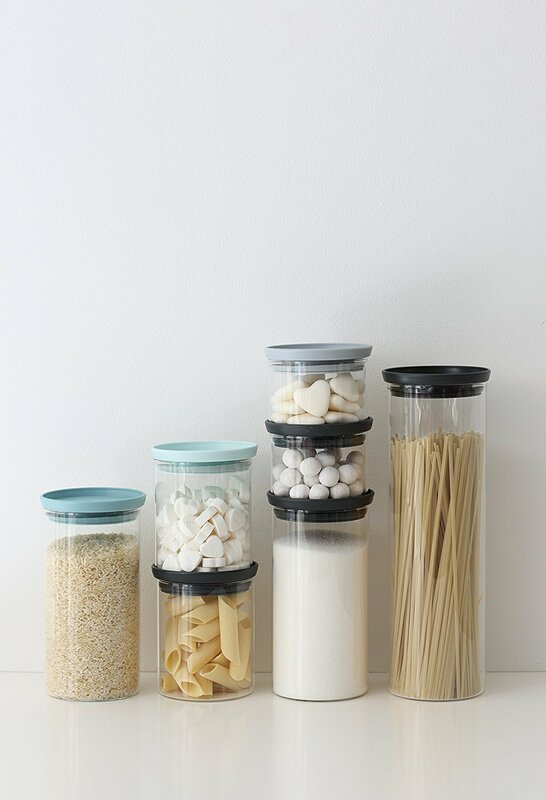 These stackable glass containers with rubber lids not only save space on your kitchen counter or in your pantry, but they're also dishwasher-safe for easy cleanups. To buy: $32 for 3, amazon.com. 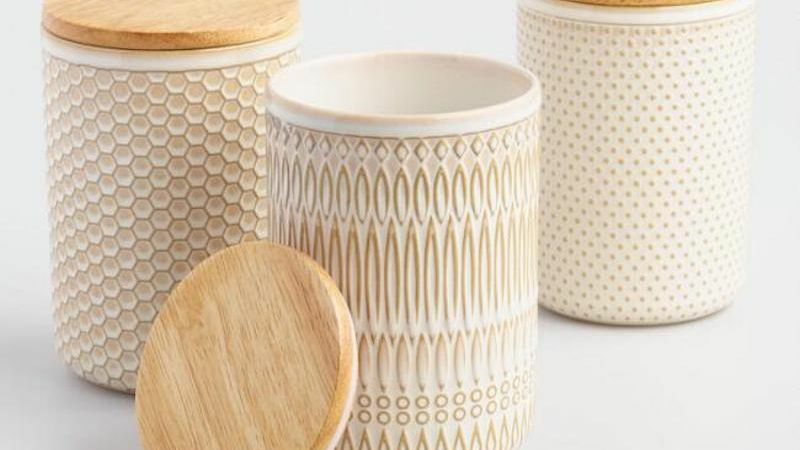 For stashing sugar, flour, and other essentials on your kitchen counter, reach for these gorgeous ceramic canisters. Each one has a different pattern, which not only adds visual interest, but helps you remember what is stored in each. To buy: $30 for 3, worldmarket.com. Want to make your kitchen look instantly more organized? Invest in this set of glass jars with airtight bamboo lids. They'll keep everything tidy, while letting you see all of the ingredients at a glance. To buy: $28 for 4 jars, wayfair.com. 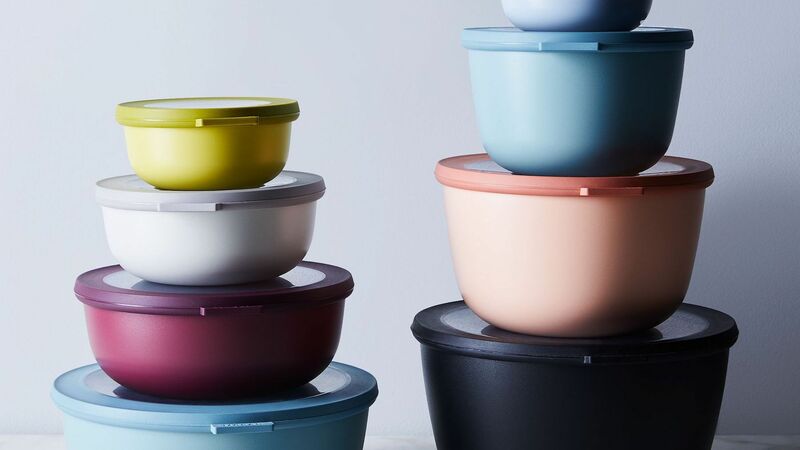 Rethink everything you thought you knew about traditional Rubbermaid food storage containers—these modern versions with trendy gray lids have a sleek design. Plus, both the base and lid are made from BPA-free plastic, so they're durable. To buy: $17 for 10 pieces, target.com. When not in use, these nesting storage bowls nestle together to save valuable cabinet space. When in use, stack them in size order in your fridge. Plus, the sets come in 7 different colors, so they match every kitchen imaginable. To buy: From $60 for 4, food52.com. 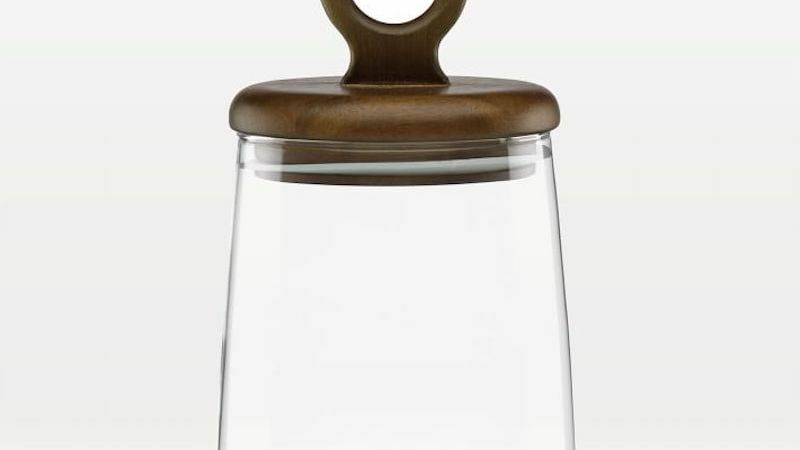 If you're a fan of sophisticated Scandinavian-inspired design, opt for this glass canister with a sculptural wooden lid. Left out on the counter, these are guaranteed to attract your guests' attention—and admiration. To buy: From $50, westelm.com.